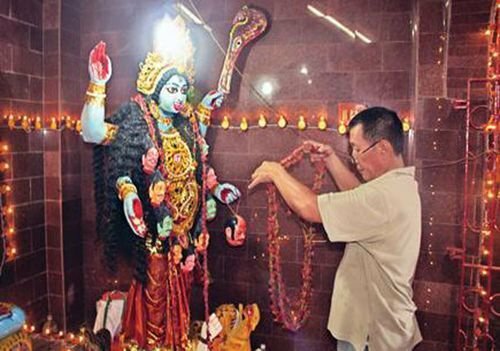 Though the temple is dedicated to Goddess Kali, it is run by the Chinese residents of Tangra in Kolkata, West Bengal. The prasad served here includes noodles, chopsuey and fried rice. 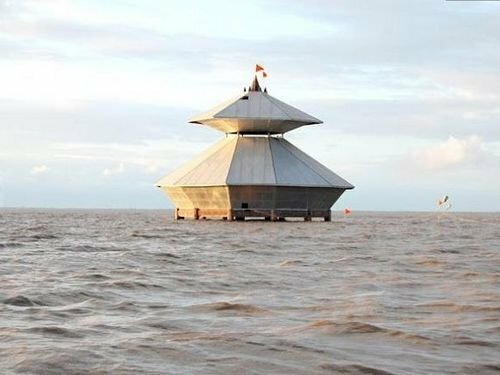 This temple is dedicated to Lord Shiva and is popularly known as the disappearing temple. It is situated on the coast of the Arabian Sea and during high tide it submerges completely in the water. Visitors, therefore, can only visit during low tide. 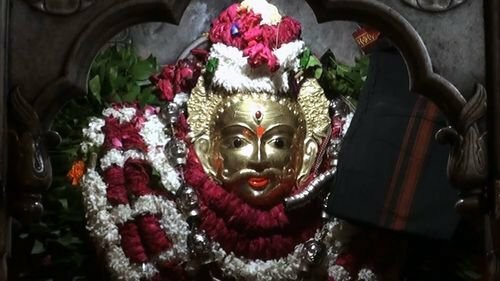 This temple is dedicated to Lord Kal Bhairav Nath. The most peculiar thing about it is that the offering given to the God is alcohol. The deity is fed wine or other alcoholic drinks and devotees are also given wine as prasad. 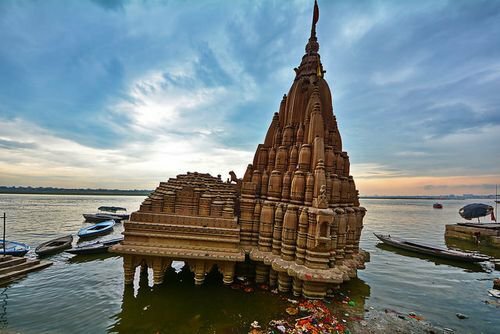 Near the Scindia Ghat, this temple's unusual quality is that it is partially submerged in the river Ganga. It is said that the temple couldn't support its own weight and collapsed. It can no longer be used. The Goddess is believed to be in the form of Paawan Jyoti, that is a small fire. There are 9 jyotisaround the temple and each one of them has been burning for decades now. 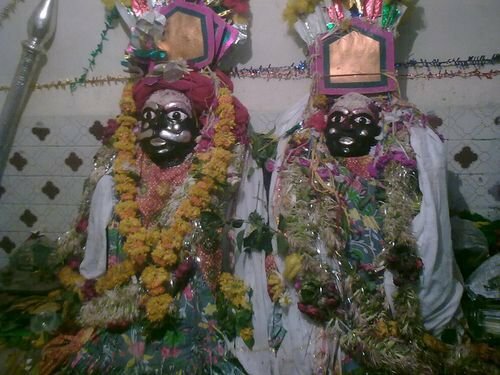 These jyotis are said to be a source of getting Moksha and your wishes fulfilled. 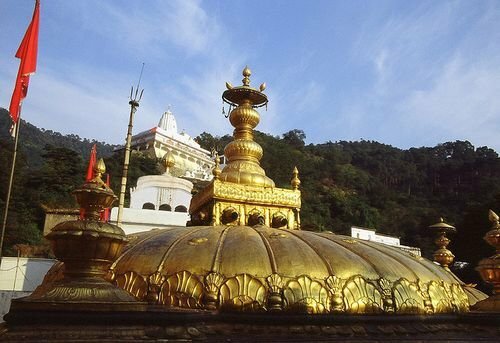 About 25 kms from Dharamshala, the temple is famous for housing hot water springs and waterfalls inside. 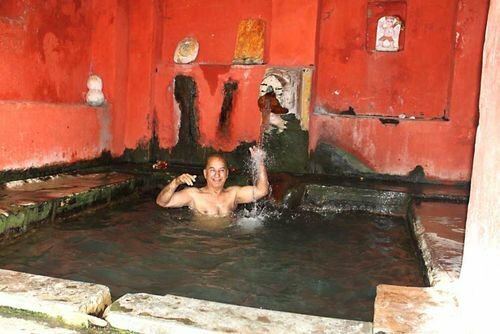 The springs are warm enough for a comfortable dip and is mandatory for visitors. The water is said to have healing properties. 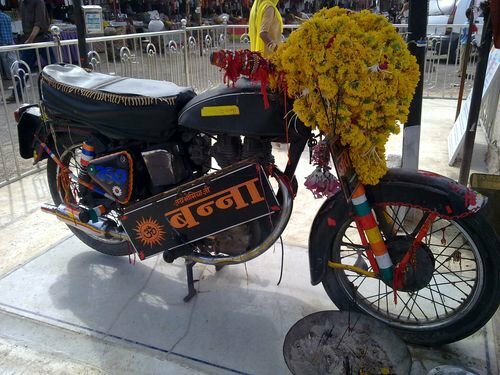 Also known as the Om Banna Temple, it is home to the motorbike of Om Singh Rathore who died in a crash after colliding with a tree. The bike was seized by the police and chained at the station many times but it kept ending up at the crash site and nobody could explain why or how. So the site was finally converted in to a spot for visitors to come and pray for a safe journey. Khabees Baba was a Shiva worshipper and apparently had the power to cure illnesses after consuming alcohol. The legend dates back to more than 150 years. The temple has no priests and devotees just come to offer liquor to the deity. 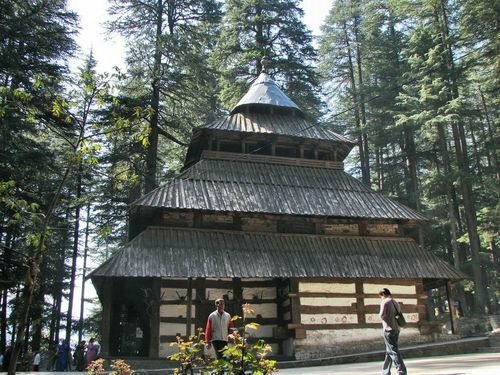 Also known as the Hidimba Devi Temple, it is a wooden temple in Manali dedicated to Hidimba Devi, the wife of Bhima (Pandav). The temple has no idol but there is a footprint on a stone that is worshipped. If one was to zoom in via Google satellite, the imprint of a huge foot covering the valley in the area near the temple is visible. Located near Bikaner, this temple is also called the Rat Temple. Goddess Karni who was an incarnation of Durga said that none of her family members would die as all of them would be reincarnated in the form of rats. There are more than 20,000 rats in the temple that are fed, worshipped and well taken care off. After Telengana was created as a separate state, a few Congress leaders from the area created a temple for her. 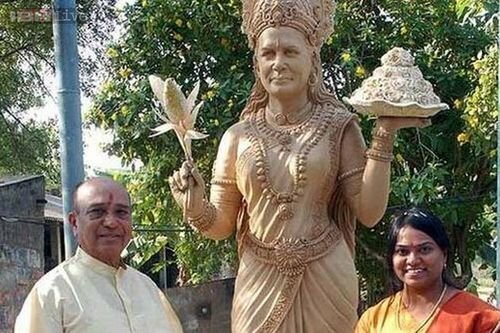 It has her statue in front and portraits of Indira, Rajiv and Rahul Gandhi on its walls. 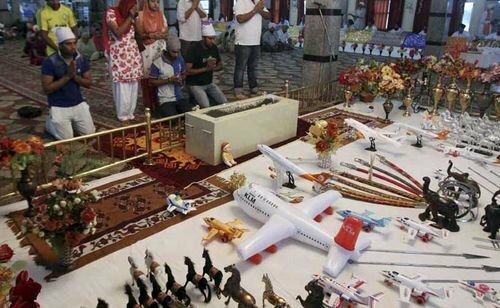 Devotees come to this Gurudwara to offer miniature aircrafts in hope that it will fulfil their wish of going abroad. The Shaheed Baba Nihal Singh is located in Talihan Village on NH-1. The temple is located in Chennapatna Taluk. The Dog God is believed to have powers to stop any wrongdoings in the village. There are two different idols of the dog showing its two different avatars. 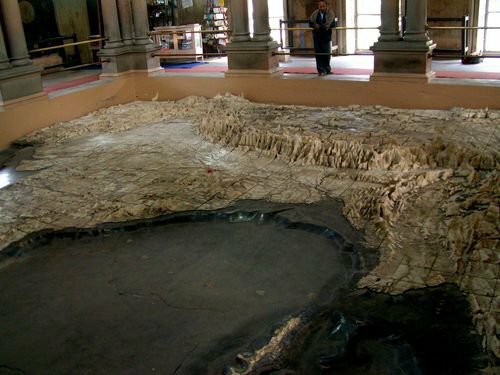 It was inaugurated by Mahatma Gandhi in 1936 and houses a marble relief map of India. The entire temple has been dedicated to those who fought during the years of British Raj to help India in its struggle for freedom. 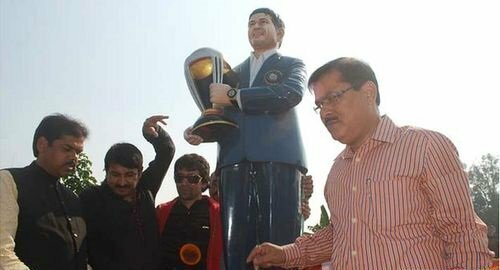 Bhojpuri actor Manoj Tiwari is an ardent Sachin worshipper like millions in the country. So he decided to make a temple to pay homage to the Little Master. He unveiled a life size statue of Sachin and is building an entire temple which would have idols of MS Dhoni and Yuvraj Singh as well. 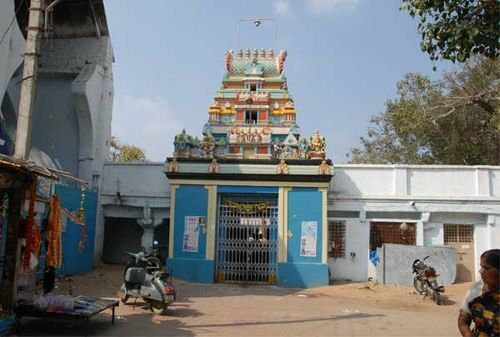 The Balaji Temple in Chilkur Village is a pilgrimage for those who wish to travel abroad. The deity inside is believed to be powerful enough to grant them their wish. Most devotees visit this temple before their visa interview. Let us know if you have anything to say or have more to share in the comments below.